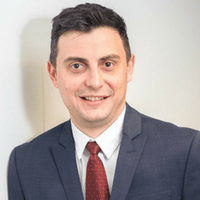 Andrei Goicea graduated in 2002 the University Politehnica of Bucharest – Faculty of Power Engineering as a nuclear engineer and a master at the same faculty in nuclear safety and radiological protection one year later. Since May 2015 he joined the FORATOM team, after he previously worked at Nuclearelectrica – Romania (2003 – 2013) and Mochovce Units 3 and 4 Project in Slovakia (2013-2015). In parallel with the professional career, Andrei was very active also in extra-professional activities by getting involved in professional associations related to nuclear field from both Romania and abroad. From 2003 he became member of Romanian Association “Nuclear Energy” – AREN and in 2004 was elected as President of Young Generation chapter of AREN. At international level he energetically took part to the activities of ENS-YGN and IYNC. In 2009 he was elected as the vice-president of ENS-YGN and president two years later (2011 – 2013).